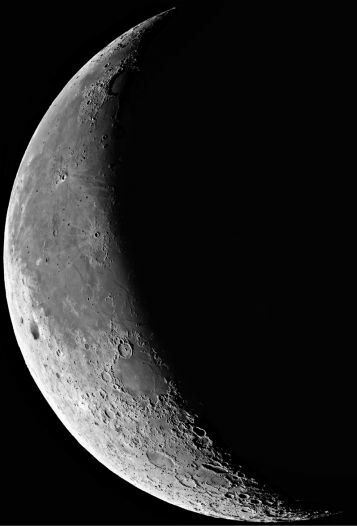 Opis: Reckoning dates by Universal Time, the next full moon will be on Sunday, January 31. Since the last was on January 2nd, Sunday's full moon will be the second this month. Perhaps only in recent times, the term "Blue Moon" has come to mean the second full moon in a month, joining a list of folklore names for the brightest lunar phase. Aren't Blue Moons extremely rare? Well, the moon's phases repeat every 29.5 days and most months have 30 or 31 days, so a Blue Moon is certainly possible if not a common event. In fact, the next (and last) Blue Moon in 1999 will occur in March, leaving February without a full moon at all. 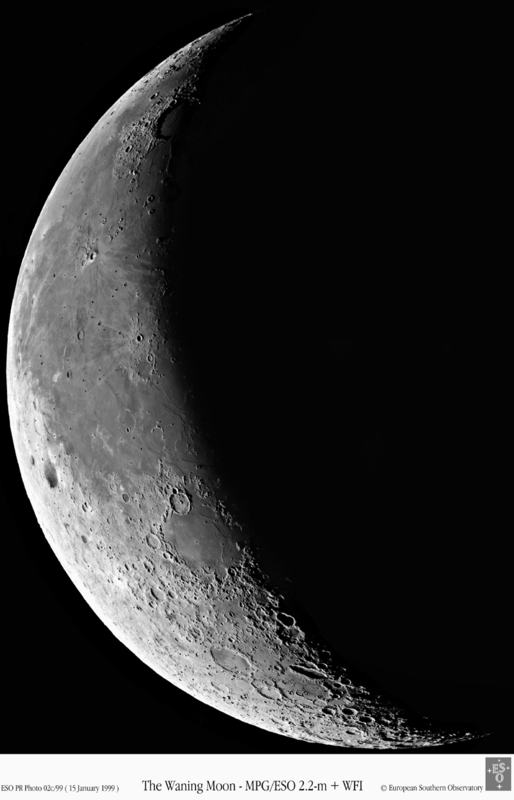 This sharp telescopic view of a waning crescent moon was recorded on January 12th by the European Southern Observatory's new WFI camera.